Before we melt into the tasty atmosphere that is Cafe Monico, here’s a little history lesson…. 140 years ago Giacomo and Battista Monico, opened a street café in London. Most neighbouring operations were demolished in 1885 for the construction of Shaftesbury Avenue, but the Monico brothers managed to expand their premises successfully and it ran for years and years. Eventually the site had to make way for the development of Piccadilly Circus in the 1950s. 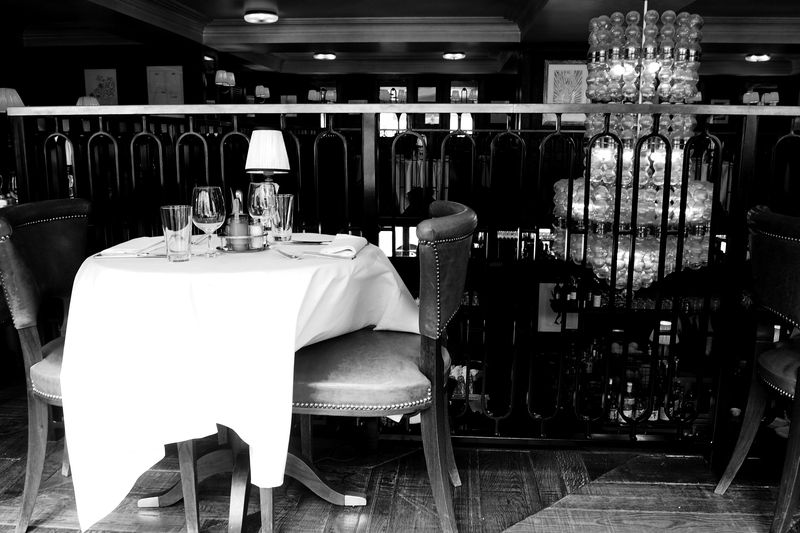 Today Soho House, in collaboration with chef Rowley Leigh, has resurrected Cafe Monico right around the corner, complete with vintage décor and a central bar. Walking from the tube station to London’s Shaftesbury Avenue, where Cafe Monico is located, I was completely distracted by all the busyness. It’s no surprise that the Soho House group picked this spot for top dinning – surrounded by theatres, the hip and happening, and fashionably in demand. As an African in London I’m always so captivated by the old charm everywhere you look, and stepping into Cafe Monico was no different. The design setting is vintage, with wood panel flooring and leather chairs, round tables and a centered bar. The most mesmerizing chandelier hangs between the restaurant’s two floors resting above the bar which serves classic cocktails, aperitifs and a large selection of vermouth. Seated at a window table, I felt a little lost in time for a moment….sitting, watching everyone rush by in the drizzle outside. 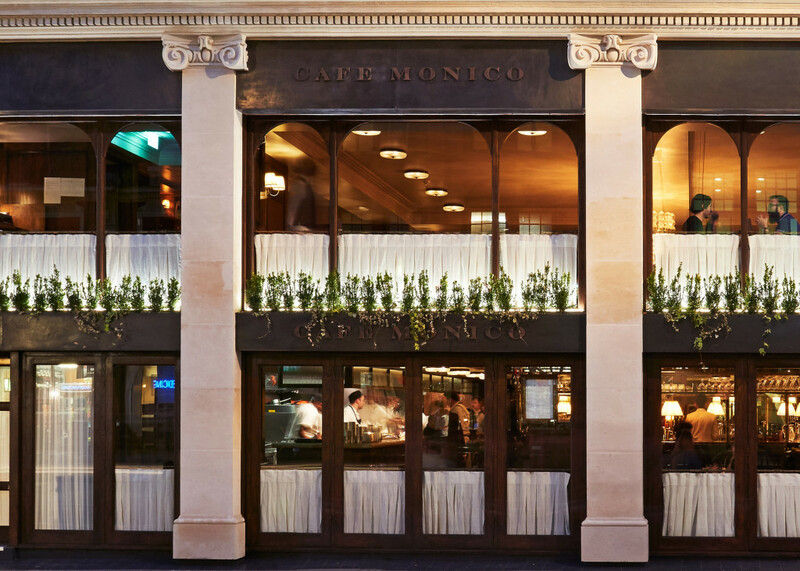 The Cafe Monico menu is inspired by its origin, and has a variety of French and Italian influences, pastas and shellfish, meats and a traditional brasserie menu. Cafe Monico is open from breakfast to dinner, 7 days a week. 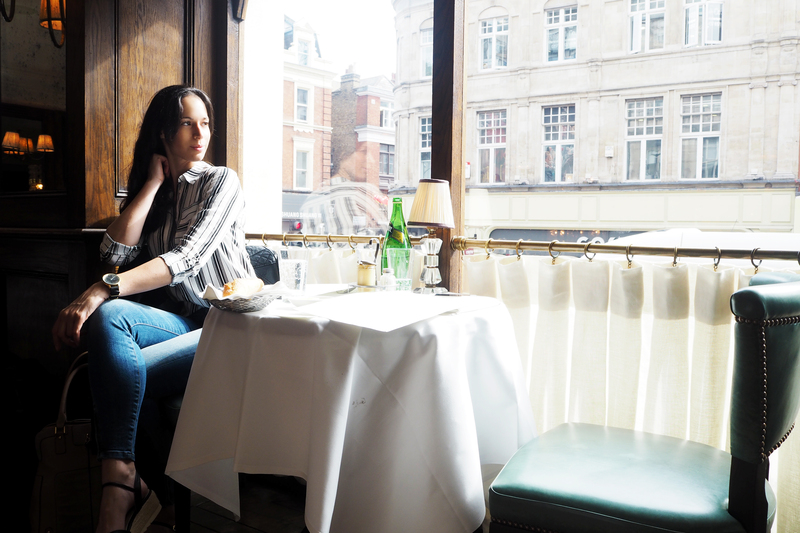 I would very happily find my way to that window side table everyday….if only London wasn’t oceans and a continent away, *sigh*.